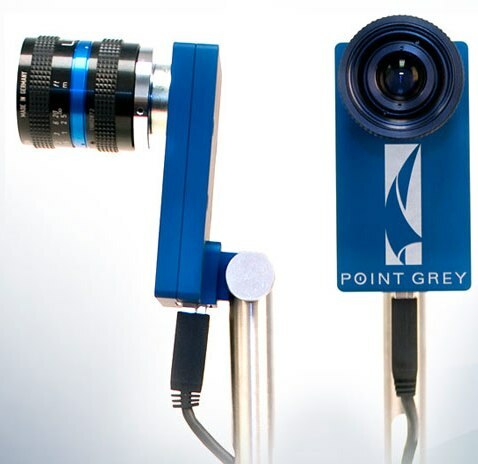 Point Grey To Demonstrate USB 3.0 Webcam At IDF | OhGizmo! By David Ponce on 09/21/09 • Leave a comment! Albeit slowly, things are starting to shake up a little bit for SupoerSpeed USB 3.0. The technology we talked about twice before is a vast improvement over USB 2.0 in terms of speed, which increases tenfold to a theoretical 4.8Gbit/s. While there aren’t many consumer electronics around that take advantage of the new specification, Point Grey will be showing off at IDF next week a webcam with a 3MP Sony IMX036 CMOS sensor that will allow it to unload 1080p uncompressed video footage at 60fps. This transfers processing duties to the PC and allows for better facial recognition capabilities, among other presumably good things to come out of the use of this higher bandwidth. No idea on price or availability on this yet, but like all things new, it’s probably better to not even ask. Here are some Tags: HD, USB, Webcam.